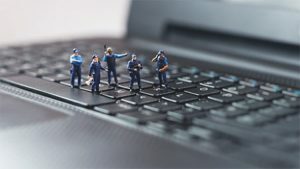 The UK government has launched a new special police unit that has the power to have websites from the internet “until further notice” is given. The unit, named the PIPCU (Police Intellectual Property Crime Unit), can threaten a domain name registrar into revoking any website without any legal basis whatsoever. PIPCU has already overseen Operation Creative, a three-month campaign that saw the removal of 40 websites accused of copyright infringement. Aside from this, PIPCU is also responsible for arresting those who broadcast TV programs illegally, or who create counterfeit DVDs. Operation Creative, however, is probably the crux – and definitely the scariest part – of the organization’s entire mission.